Dr. Donald Park ~ Don graduated from the University of Detroit Mercy in 1994 with a Bachelors of Science degree. In 1998 he obtained his Doctorate of Dental Surgery from the University of Detroit Mercy School of Dentistry. 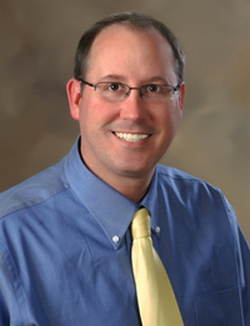 He is a member of the American Dental Association, the Michigan Dental Association, the Academy of General Dentistry, the Greater Green Bay Study Club and currently completing advanced dental education through the Pankey Institute. He enjoys all aspects of general dentistry, especially cosmetic and implantology. Don & his wife Melissa have two children. They participate in most outdoor sports but enjoy golfing & fishing. For the past several years Don has participated in local fishing tournaments. He also enjoys white tail deer hunting. Don has coached various ages of local youth ice hockey and skates with the local men's ice hockey program. Don is also an active parishioner of Resurrection Church and has served on the parish council.